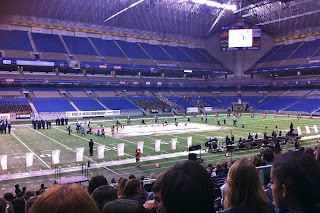 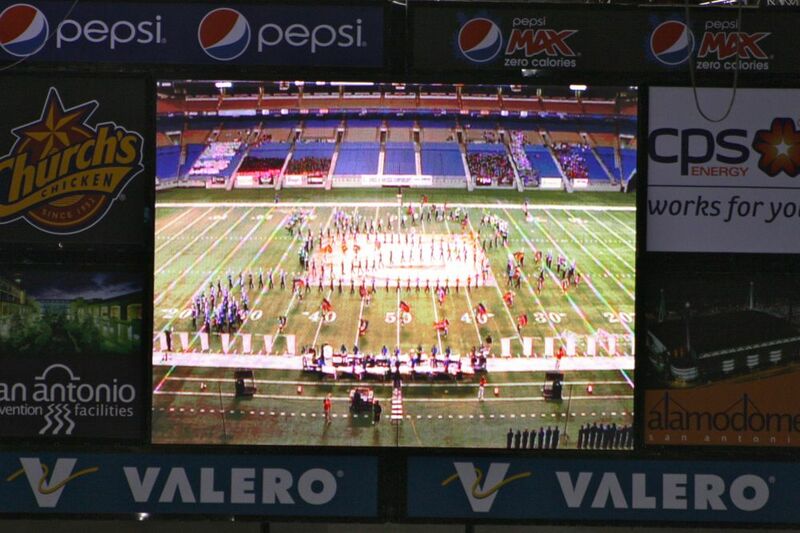 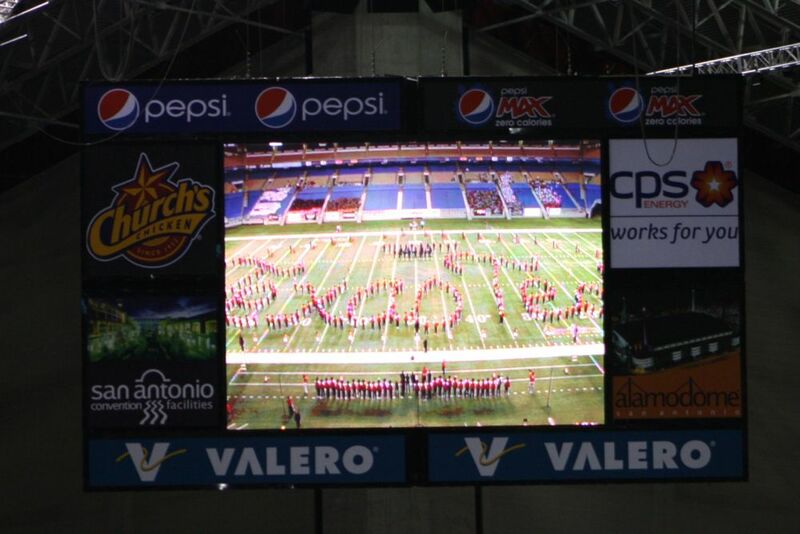 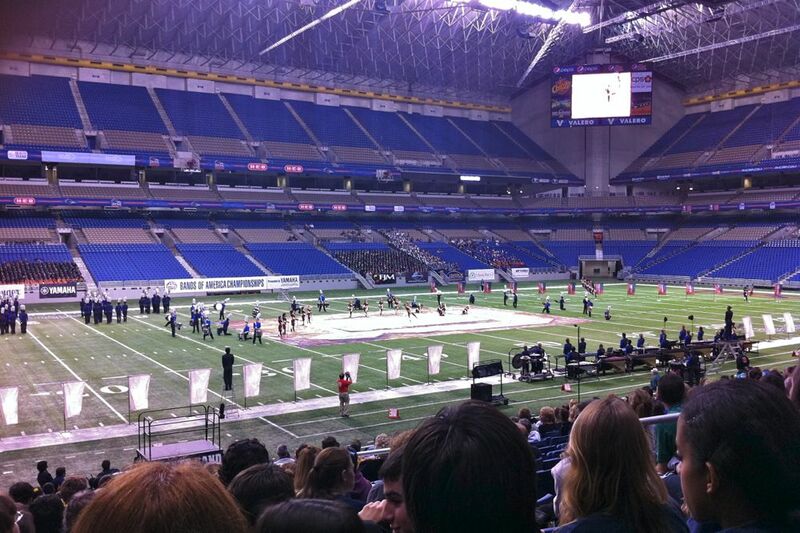 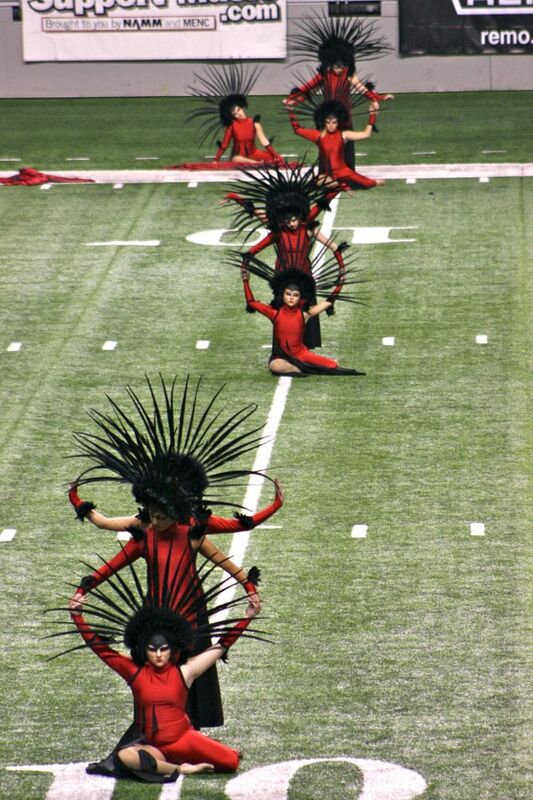 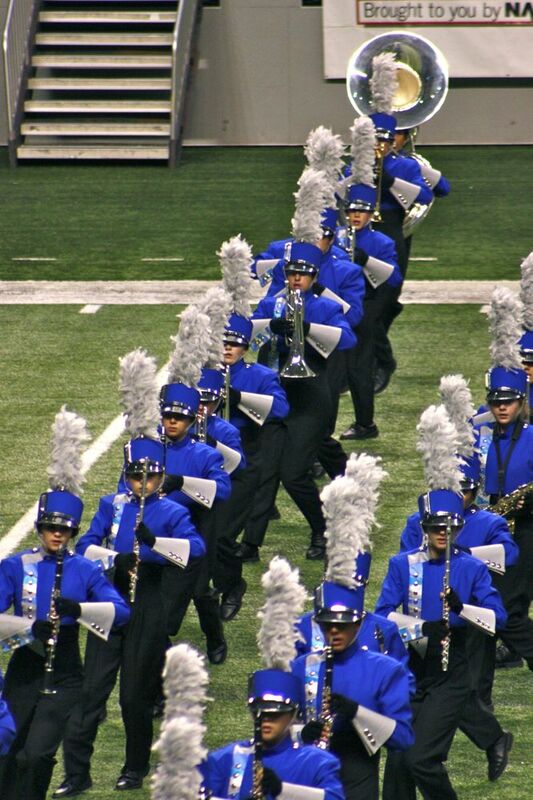 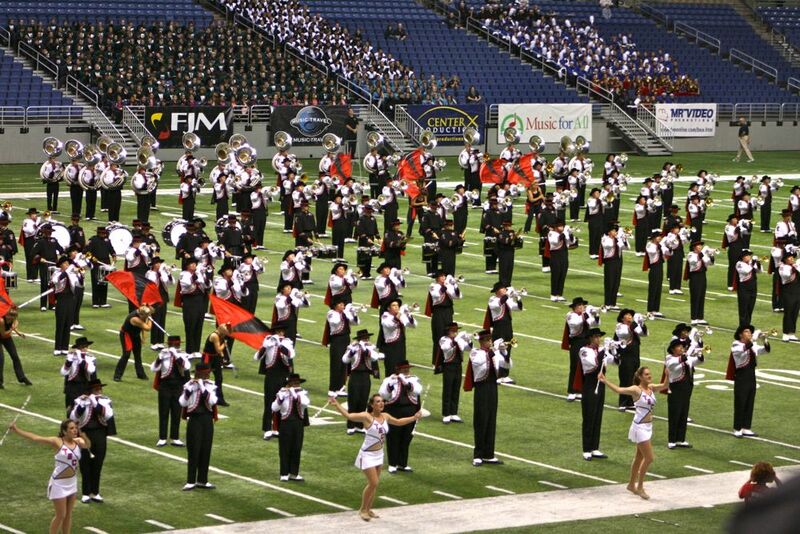 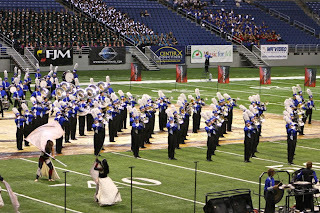 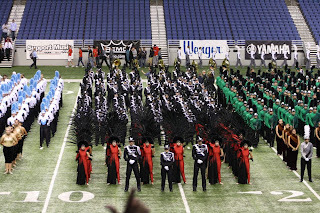 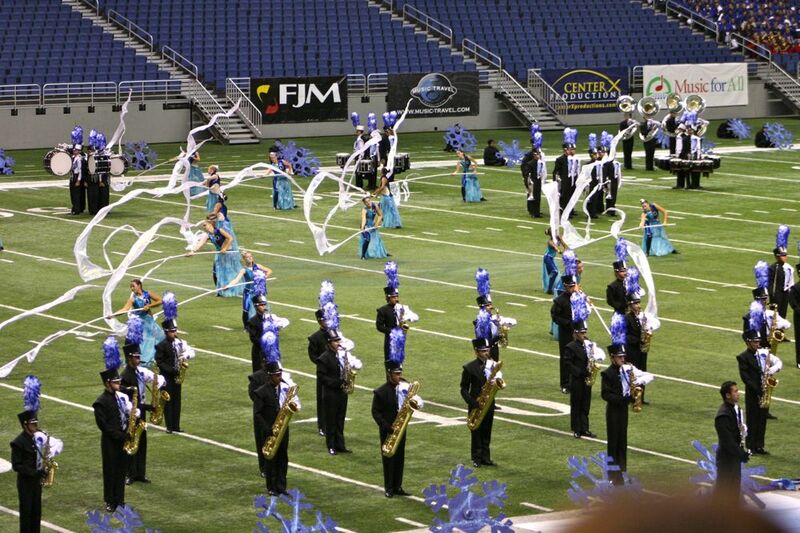 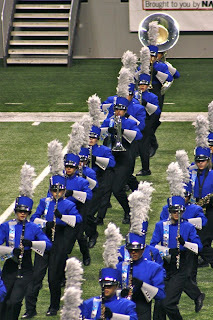 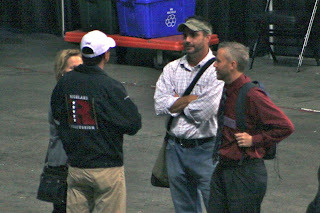 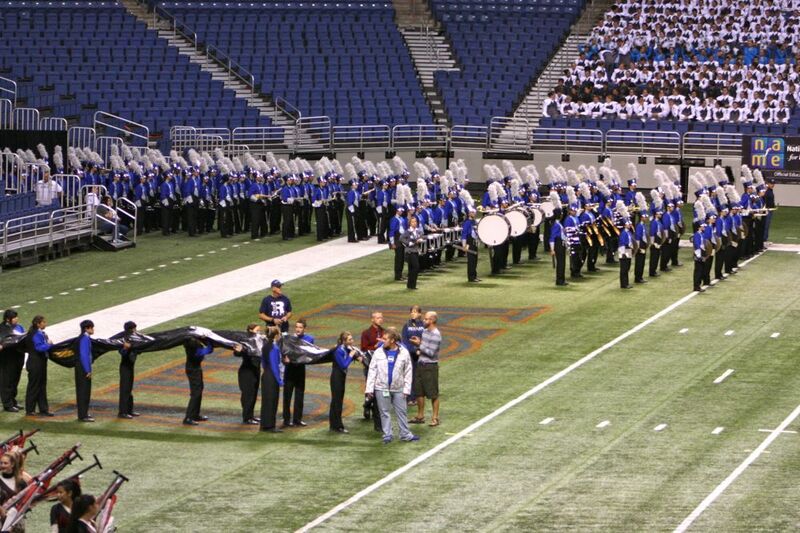 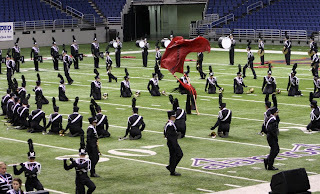 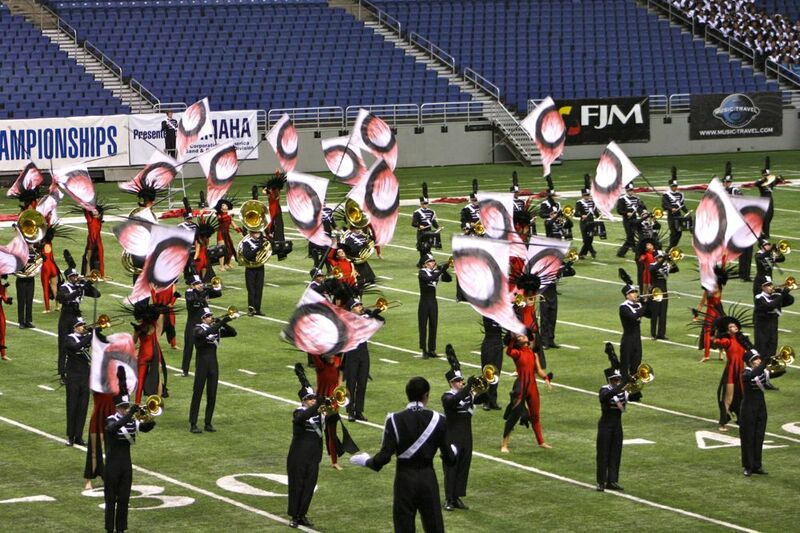 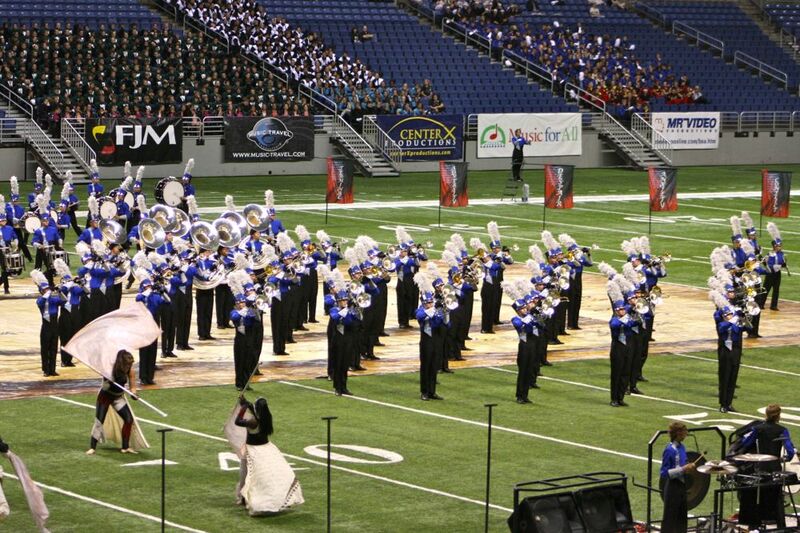 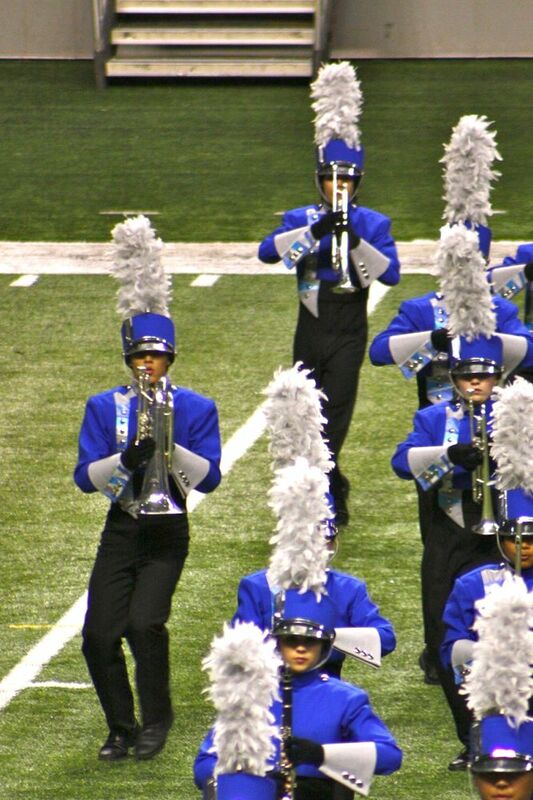 Back in the Alamodome, we were anxious to see our bands perform. 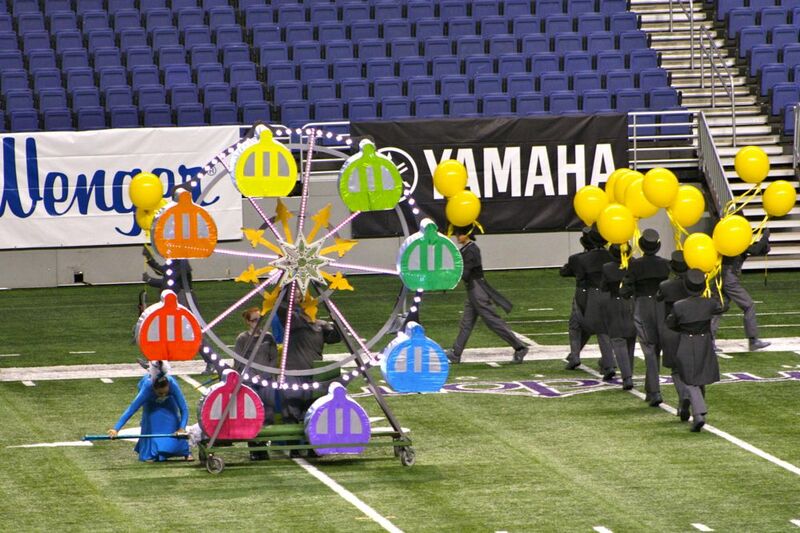 While we waited, though, we got to see MHS' famous ferris wheels. 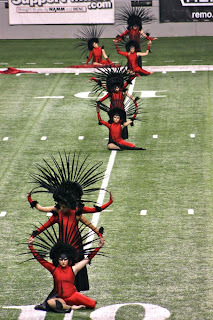 They were pretty fancy, but the extravagant props turn me off. 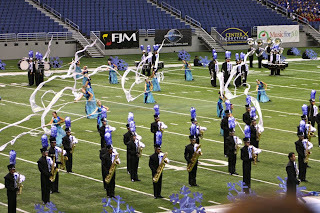 We again saw Bowie's show with its winter theme. 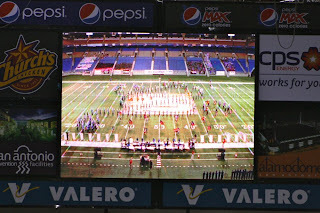 And then it was time for BHS, the band from the school where I teach. 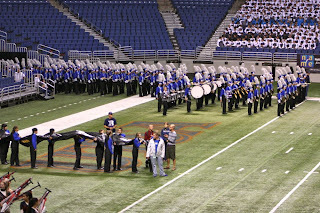 This was not our first time to see "The Circle's Edge." 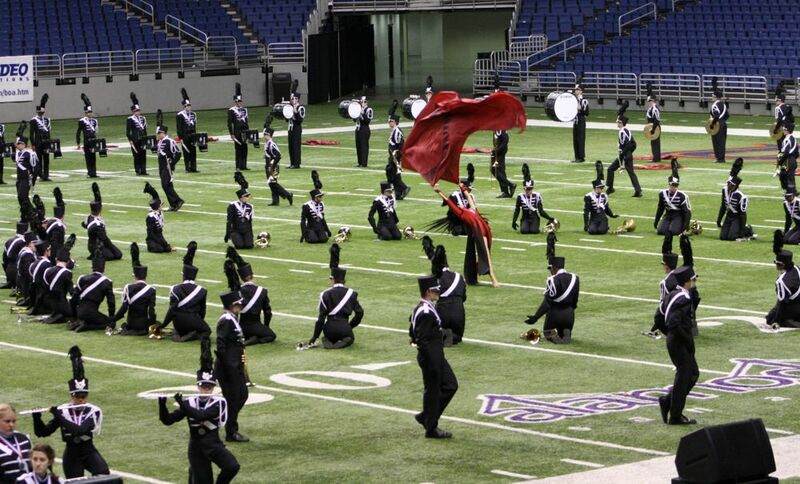 Again, the swing flags were quite impressive. All that red, flying around the field: Beautiful. 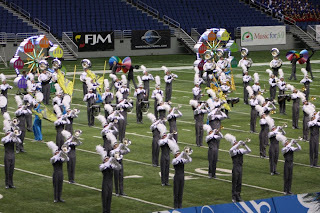 Of course, the highlight of the night was seeing our band, RHS. We were all so proud of the performance! 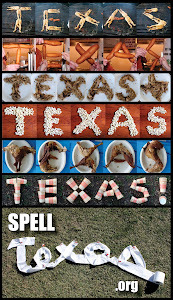 After all the bands competed in the finals, the Goin' Band from Raiderland performed an exhibition. 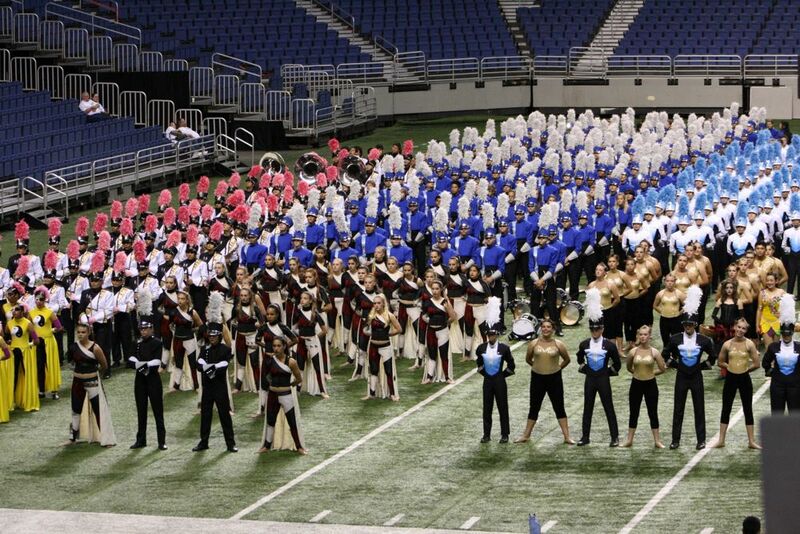 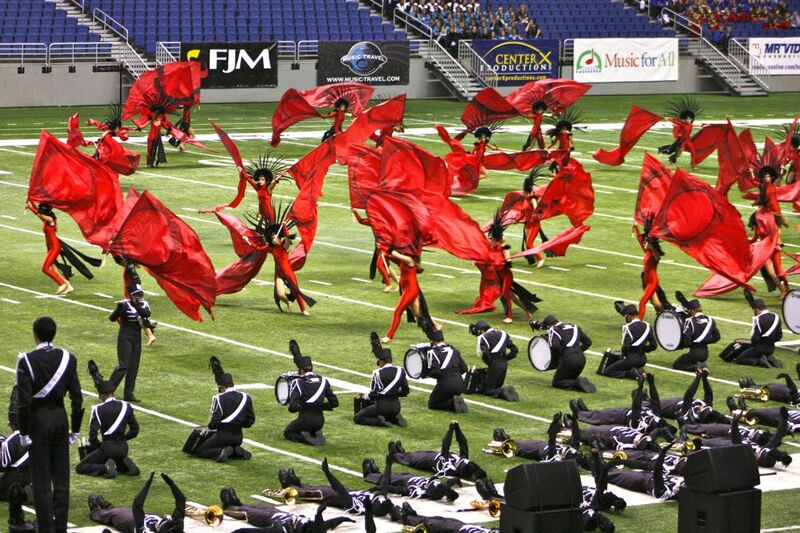 Before the rankings are announced, all the finals bands take the field in "full retreat." 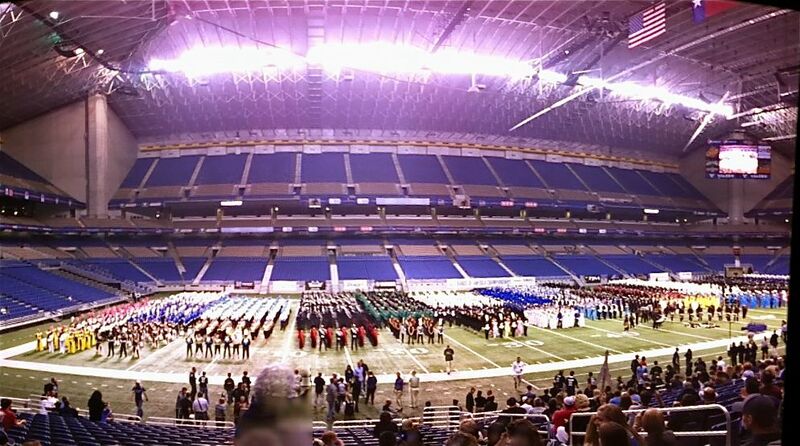 It is incredible to see the field full of all those uniforms, instruments, flags and student musicians. 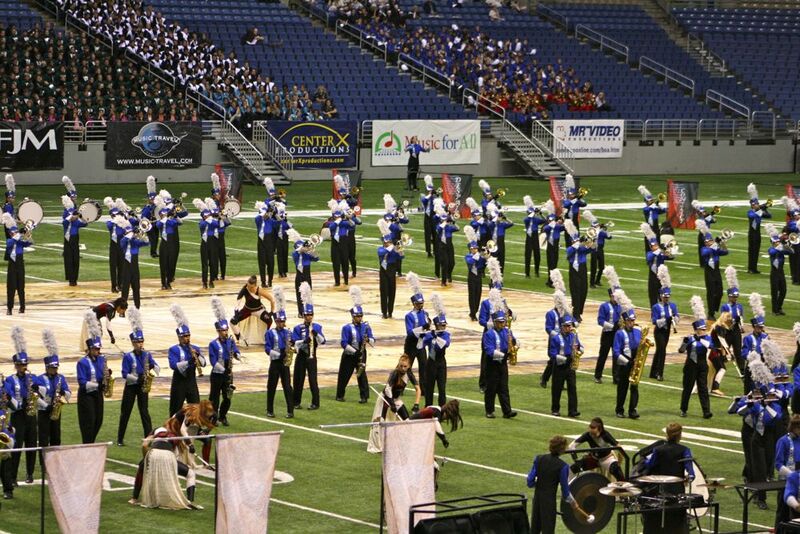 After awards were announced, BHS got to perform their show one more time. 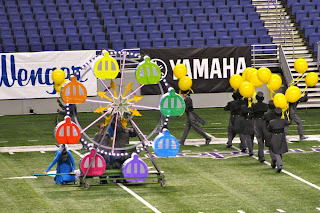 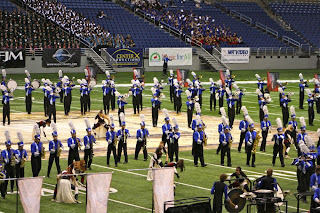 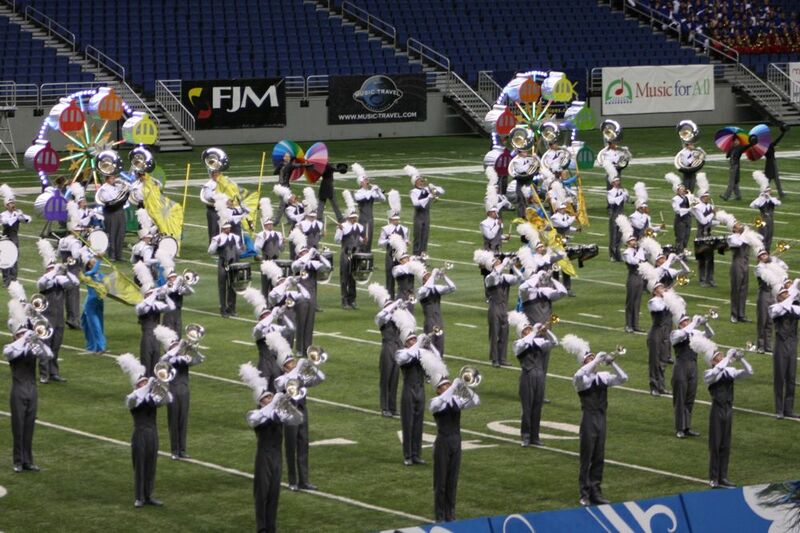 It was a beautiful, well-deserving show, but we were disappointed with OUR band's ranking. 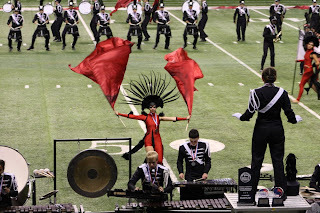 Still, we didn't need the judges to tell us how wonderful "The Diary" was!